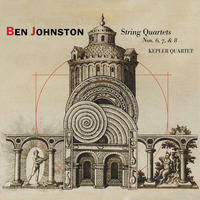 In both its scale and its fundamental reimagining of the form, the cycle of ten string quartets by microtonal composer Ben Johnston represents one of the most ambitious compositional projects of the second half of the twentieth century. With the release of this CD, the Kepler Quartet completes its own ambitious project of recording the cycle in its entirety. As a composer Johnston, who celebrated his 90th birthday last month, was a protégé of microtonal experimentalist Harry Partch, having spent six months of 1949-1950 with him in California before going on to study with Darius Milhaud at Mills College. In 1951 Johnston took up a position at the University of Illinois, Urbana, where he stayed until his retirement in 1983. In between he studied with John Cage in 1959, after a brief and unsatisfactory attempt to work with the early electronic instruments at the Columbia-Princeton electronic music center. As early as the 1930s, Johnston showed an interest in acoustic theory as a basis for tuning and a corresponding dissatisfaction with equal temperament. Although he composed some works in equal temperament—including the First String Quartet, a serial work—the bulk of his compositions were done in sometimes quite expansive iterations of just intonation. Johnston’s reasons for adopting just intonation weren’t formal so much as they were expressive; as Kepler Quartet Second Violinist Eric Segnitz put it, the often complex array of pitches called for were “only byproducts of the emotional nuances” Johnston wished to convey. Johnston ceased composing in 1995. Johnston’s expanded just intonation produced a very complex, difficult to perform body of work. Therein lies the paradox of just intonation: It reduces pitch relations to simple ratios, but these simple ratios in turn ramify into complex collections of microtonally distinguished, individual pitches when multiple keys are involved. The minute distinctions of pitch naturally demanded a special notation, which presents interpretive challenges of its own quite beyond the challenges of having to hear and reproduce as many as 1200 distinct pitches (as is called for in the Seventh String Quartet). Given the challenges inherent in the work, it isn’t surprising that it took the Kepler Quartet—who are, in addition to Segnitz, Sharan Leventhal (violin), Brek Renzelman (viola) and Karl Lavine (cello)– fourteen years and close consultation with the composer to accomplish the recording project, which began with their premiering the Tenth Quartet in 2002. This final installment of the resulting series of recordings covers the Sixth, Seventh and Eighth Quartets, composed between 1980 and 1986. One of them—the Seventh—had never been performed before the Kepler Quartet took it up for this recording. And it’s this most notoriously difficult quartet that opens the set. Finished in 1984, the Seventh quartet is divided into three movements, the first two short and the last very long relative to the others. Johnston described the first movement in terms of Kafka’s Metamorphosis because of its densely “scurrying” microtones. The sound is cloudlike—a swarming but somehow weightlessly airy mass of finely graded pitches circling each other. By contrast, the second movement is anchored by a walking pizzicato line with harmonics layered on top. The long third movement plays off of the opposition of horizontal lines that deviate perceptibly from what a lifetime of exposure to equal temperament would have one accept as “right” sounding, although vertically the pitches add up to chiming, rich chords that sound precisely calibrated. The four movement Eighth quartet (1986) is one of Johnston’s neo-classical compositions. The first movement features a figure/field structure that sets a lead melody against a chordal background, while in the second movement the individual voices move in a fully-developed counterpoint. Like the second movement of the Eighth quartet, the third movement again uses the device of a regular but complexly cyclical pizzicato pulse as a framework, which in the fourth movement mutates into a more robust rhythm of unexpectedly added and dropped beats. The melodic last movement has the sound of a distantly recollected folk song, one whose melody is somehow distorted by the unreliability of memory. The final quartet in the set, the Sixth (1980), is a single, long movement aptly subtitled “legato espressivo.” Johnston returns to twelve-tone writing here but in just intonation; the twelve-pitch set is made up of six tones from the D overtone series and six from the so-called undertone series of D#. One doesn’t need to hear this underlying structure to be affected by the slightly melancholic gravity of the piece. The unorthodox crossing of serial form and microtonal content makes for a moving work; the complexity of the formal arrangement only enhances the essentially expressive intent of the piece. The set closes with Quickness (1996), a short piece for string quartet and voice reciting lines from the Persian poet Rumi. The piece is dedicated to the memory of Johnston’s late U Illinois-Urbana colleague Salvatore Martirano; the voice recorded here is Johnston’s. The pleasure of listening to these landmark works is much enhanced by the indispensable liner note by Kyle Gann, a one-time student of Johnston’s. Jeff Parker has a new album, The New Breed, coming out in June. Hyper and Amir ElSaffar also has a new album, Saadif, coming out. The Taylor Ho Bynum Sextet & Buffalo PlusTet will perform at Asbury Hall, in Buffalo, NY, on May 5. 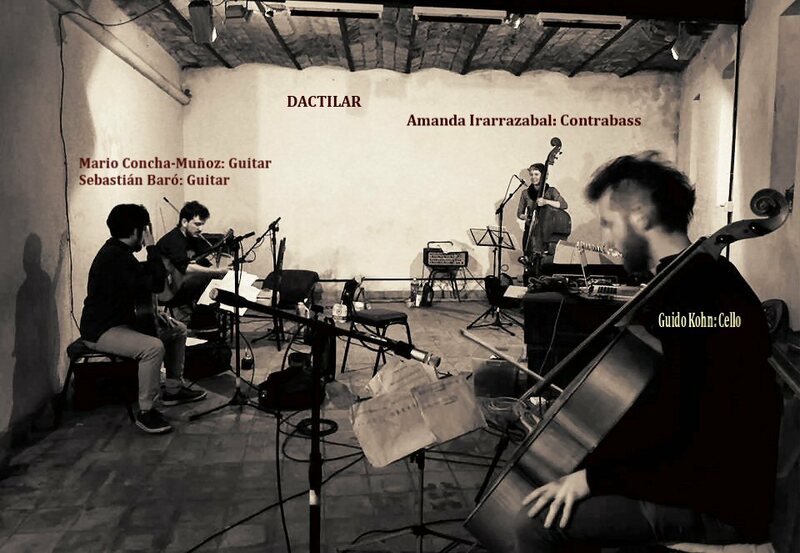 A recent performance of the Yoni Kretzmer 2-Bass Quartet in New York is reviewed. Ayler had spent much of the last five years in Europe—first stationed in Orléans, France, during a three-year stint in the army, and then mostly in Copenhagen and Stockholm, where he bounced around, playing in different groups before a landing an on-and-off gig with avant-garde pianist Cecil Taylor that lasted several months. He’d recorded as a leader while in Europe, but few people had heard his records. His first album, cut in Sweden in 1962 and called Something Different!!!!! !, was released on a tiny label, and Ayler was reluctant to even record it in the first place. As he described it, the music he heard in his head hadn’t quite taken shape—he was imagining something beyond what he could reproduce, and he felt he was too early in his development to document his playing. But he did feel like he was on to something, that there was a sound beyond the limits of traditional jazz that he could explore, and he saw how his music could affect people.